Special design and manufactured for home brewer to make wine/cider at home. 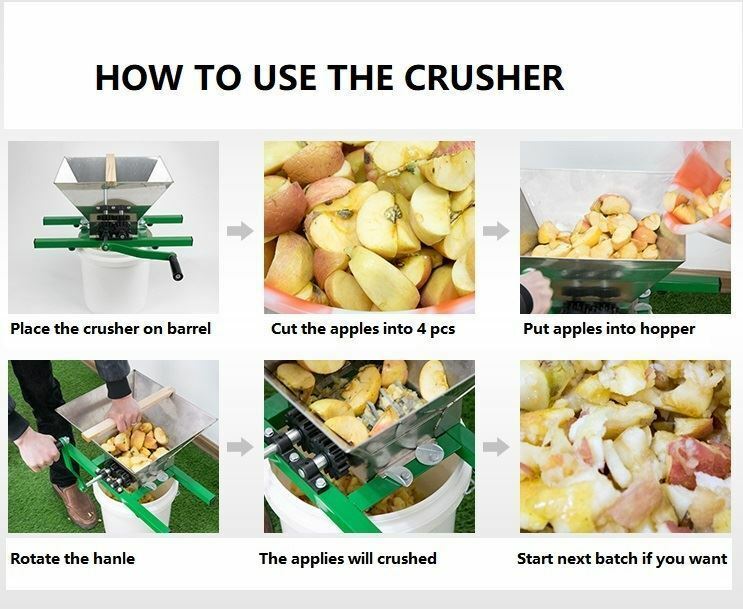 To make Wine/Cider, it's better you crushed them before press to get the juice, while this crusher is the right equipment to crush the fruit, which shall help to reduce the hardness when press, especially for some fruit like apples. The crusher was made of stainless steel for the hopper, and was made of cast alloy for the gear/teeth with special design. 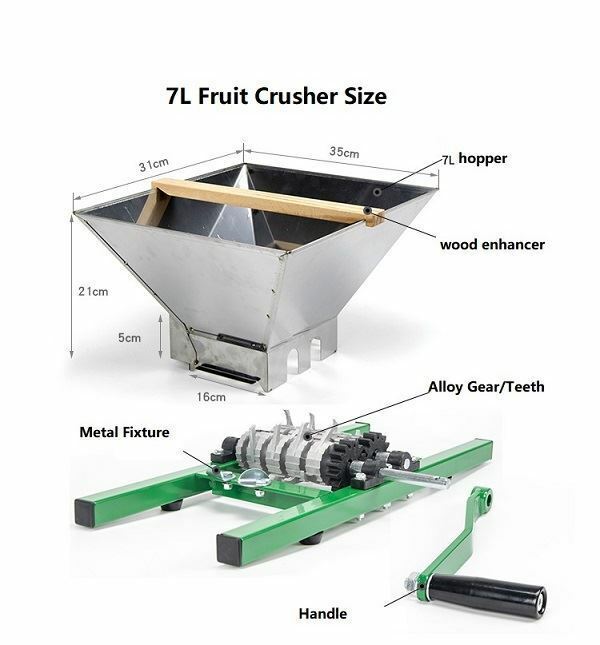 You won't regret to have one crusher like this to help you make your own wine/cider. Made of stainless steel for hopper, and cast alloy for the gear/teeth. Flexible handle and easy to assemble.